With amazing views and an outstanding atmosphere, Kuhtai is a fantastic Austrian ski resort. As it is much quieter than many of the other resorts in the country, it is easy to see why visitors keep on returning to this wonderful village. Whether you’re a beginner, intermediate or an expert, there are plenty of runs and facilities to ensure a magnificent break. 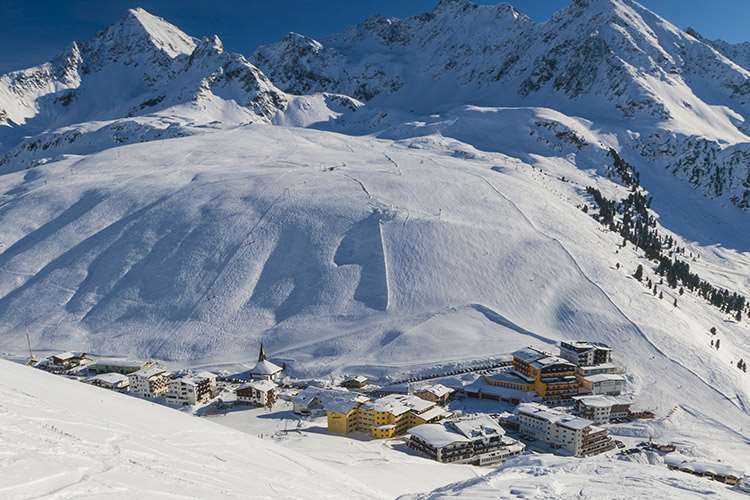 Kuhtai is one of the highest ski resorts in Austria and has guaranteed snow conditions throughout the season, this coupled with the fact that it has a short transfer time from Innsbruck makes Kuhtai a great ski holiday destination. With a truly outstanding design set more than 2,000m above sea level, Kuhtai looks simply mesmerising. The village’s accommodations offer extraordinary hospitality and some of the best runs in the country. There are several accommodation choices in Kuhtai including the popular Chalet Hotel Elisabeth which is ski in – ski out, the 4 star Hotel Alpenrose and Hotel Mooshaus. The ski season runs from December to April and snow is guaranteed throughout the season due to it’s high altitude. With extraordinary runs and incredible off-piste terrain, there is a wide variety of choice at this amazing resort. It is primarily suited to intermediate skiers, though there are excellent options for other ability levels. Kuhtai offers breathtaking scenery and the convenience of ski in ski out with virtually no queues at any of the lifts. 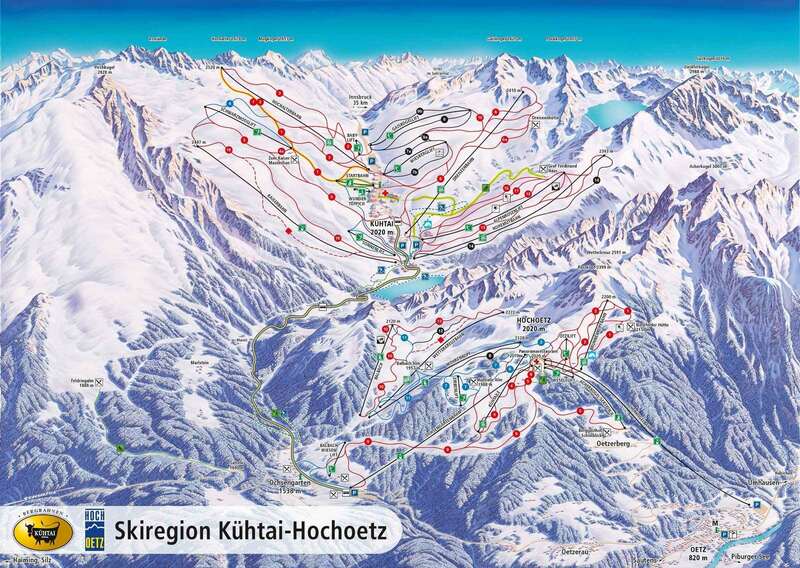 Kuhtai is a haven for intermediate skiers with the terrain mainly consisting of red runs. Alongside the 40km of ski slopes, there is night skiing on Wednesdays and Saturdays, while the KPark freestyle area is ideal for skiers and snowboarders who are interested in taking on ramps and rails. The lift pass also grants access to Hochoetz, just 8 km away on a free bus, which gives you a total of 80 km of piste to enjoy on your ski holiday in Kuhtai. There is a good apres ski scene across Kuhtai, including several amazing bars and restaurants. Graf Ferdinandhaus and Zum Kaiser Maximilien are two of the top options. These mountain huts offer amazing food and drinks along with an excellent atmosphere and are the perfect place to mingle with other skiers and snowboarders. If you’re looking for something a little quieter, the Alte Stube at Hotel Konradin is a great place to relax and take in the stunning scenery. The closest airport to Kuhtai is Innsbruck, which is around 30 minutes by transfer. Great value holiday and great snow conditions in mid April. Had a great holiday. Kuhtai is a good skiing area for intermediate skiers. The slopes are long and steep. The only diference between red and black runs is the width of the slope.